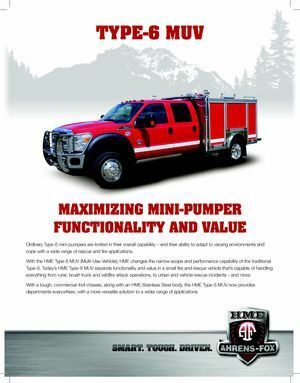 Ordinary Type 6 mini-pumpers are limited in their overall capability – and their ability to adapt to varying environments and cope with a wide range of rescue and fire applications. With the Type 6 MUV (Multi-Use-Vehicle), HME changes the narrow scope and performance capability of the traditional Type-6. 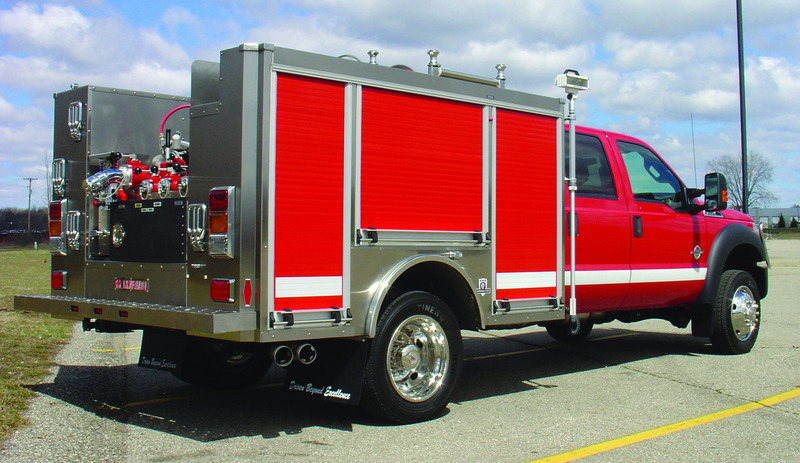 Today’s HME Type 6 MUV expands functionality and value in a small fire and rescue vehicle that’s capable of handling everything from rural, brush truck and wildfire attack operations, to urban and vehicle rescue incidents – and more. With a tough, commercial 4x4 chassis, along with an HME Stainless Steel body, the HME Type 6 MUV now provides departments everywhere, with a more versatile solution to a wider range of applications. One smart, tough multi-use vehicle made to improve performance and value. Built on a tough, commercial 4x4 chassis, in a four-door configuration to carry additional crew, the Type 6 MUV provides greater capability for a wider range of fire and rescue operations. The Type 6 MUV has a payload capacity of 7,250 lbs. for water equipment and crew. 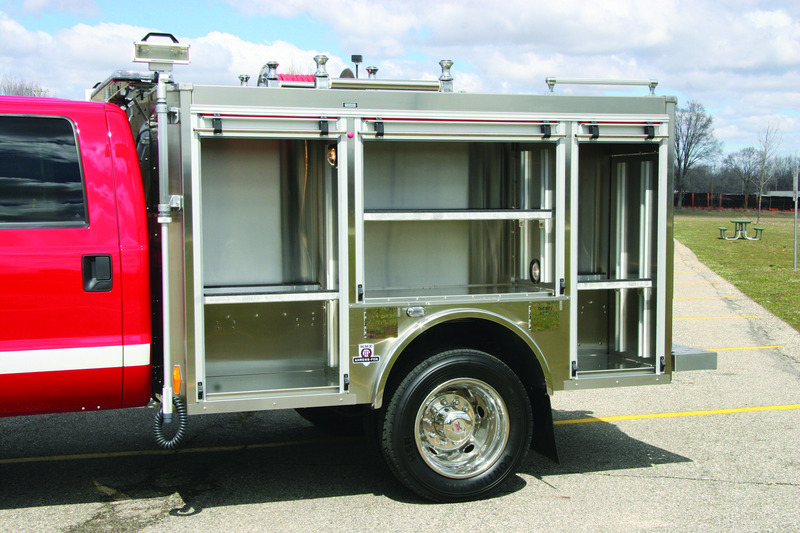 The HME stainless steel body incorporates 118-cubic feet of compartment storage space, plus a 300-gallon water tank and foam system, providing a practical and economical solution for rural, brush truck and wildfire attack operations. 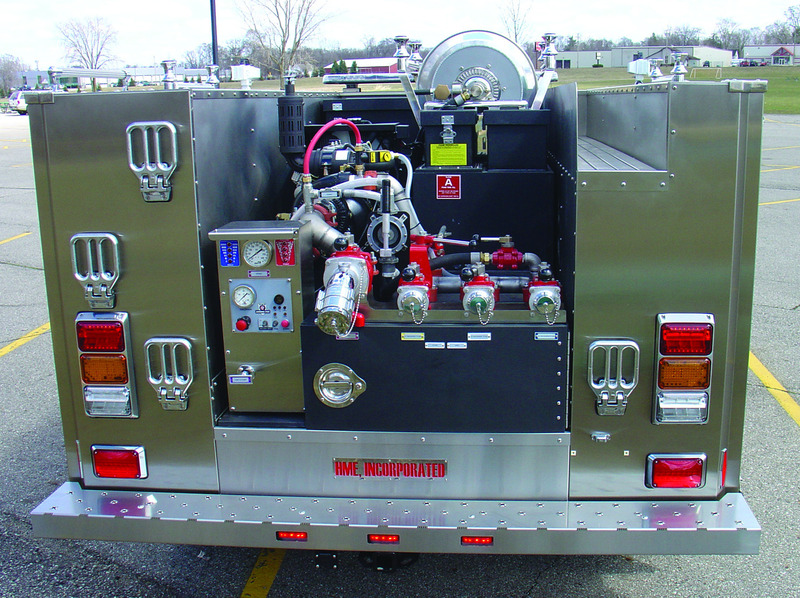 Fire Departments looking for the perfect balance of economy and performance don’t have to settle for limited capability and functionality, anymore. Discover more flexibility value with the multi-use Type 6 MUV. Ford 550 4x4 chassis and drive train. Rugged and corrosion resistant stainless steel body. 118-cubic feet of compartment storage. 300-gallon water tank – or optional 500-gallon tank. Optional booster hose reels and hosebeds. Optional winches, suction trays and extending light packages. © 2019 HME Ahrens-Fox Registered Trademark of HME Incorporated, Wyoming, MI. USA.